Jaimie Engle, author of Clifton Chase and the Arrow of Light, will be speaking at the Young Authors group at the Suntree public library on Thursday, September 19th. The group is open to anyone between the ages of 9 and 16, and you are encouraged to bring something to write with. 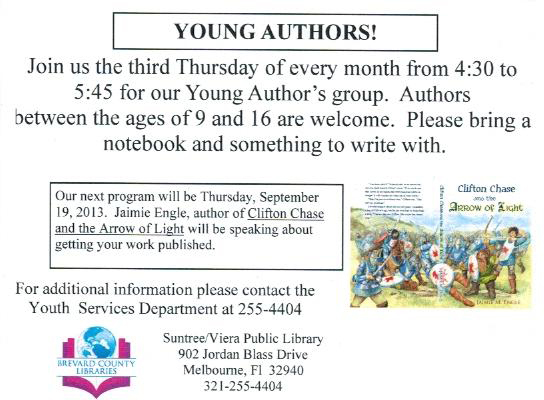 Contact the library at 321.255.4404 and speak with the Youth Services Department for more information.